The new CLS-Class iPad App puts a spin on traditional communications by providing a media-rich, eco-friendly channel for prospects to learn more about the CLS-Class. Although this app has been created as a tool for dealership sales associates, it can easily be obtained through the Apple App Store by consumers as well. 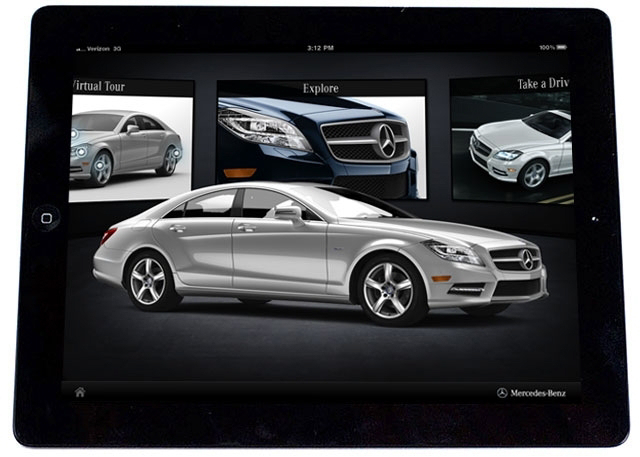 Through logical placement and smart navigation, the app provides a smart, user-friendly experience that includes virtual tours of the interior and exterior of the vehicle, as well as an “Explore” section that allows users to customize the CLS. The app also offers a wide selection of videos that demonstrate the groundbreaking technical innovations of Mercedes-Benz. Additional apps for MY ’12 vehicles will launch throughout 2011 to coincide with the retail release dates.